Box – How to leave no one behind in statistics? SDG 8: What policies are needed to achieve Goal 8? SDG 14: Sustainable fishery or Blue Economy? SDG 15: The 30-year search for biodiversity gold: history repeats itself? SDG 17: Trading away the SDGs? 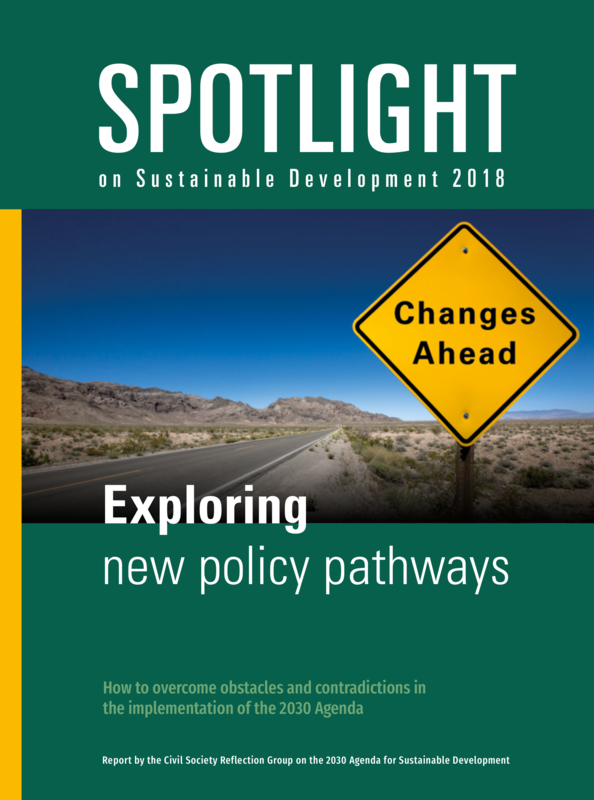 “The world is off-track in terms of achieving sustainable development and fundamental policy changes are necessary to unleash the transformative potential of the SDGs.” This is the main message of the Spotlight Report 2018, the most comprehensive independent assessment of the implementation of the 2030 Agenda. The report is launched on the opening day of the High Level Political Forum at the United Nations in New York by a global coalition of civil society organizations and trade unions. When UN Member States adopted the 2030 Agenda, they signaled with the title 'Transforming our World' that it should trigger fundamental changes in politics and society, argues the report. The 160-page report is supported by a broad range of civil society organizations and trade unions, and informed by the experiences and reports of national and regional groups and coalitions from all parts of the world. The contributions cover many aspects of the 2030 Agenda and the SDGs (and beyond), and reflect the rich geographic and cultural diversity of their authors. The Spotlight Report is published by the Arab NGO Network for Development (ANND), the Center for Economic and Social Rights (CESR), Development Alternatives with Women for a New Era (DAWN), Global Policy Forum (GPF), Public Services International (PSI), Social Watch, Society for International Development (SID), and Third World Network (TWN), supported by the Friedrich Ebert Stiftung. Download the full report here (pdf, 3,5 MB). Download the full report in Spanish here (pdf, 3 MB). Download the full report in Arabic here (pdf, 2.5 MB). For single chapters, see here. For national reports see here.